Now days, dark spots are a very common problem that is faced by every woman due to various reasons such as the harsh rays of sun, genetic predisposition, and hormonal changes. 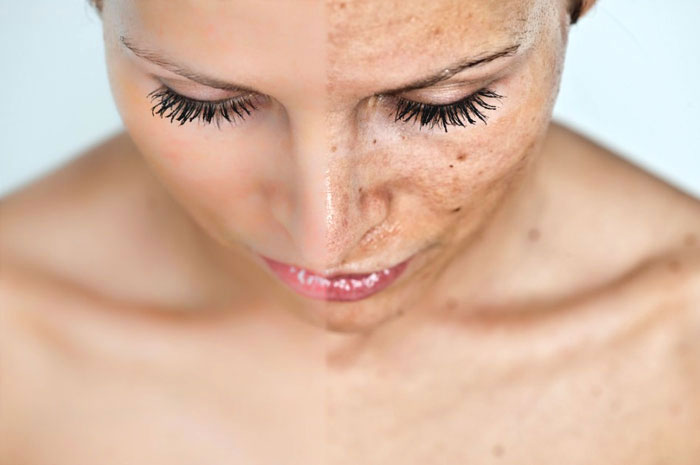 The melasma treatment is a very effective way that we can use without being worried about the ill effects on skin. Melasma is a type of hormonal changes that take place during pregnancy and is manifested as pigmented, patchy areas generally over the face. Melasma can be an epidermal (upper skin), dermal (lower skin) or mixed (dermal and epidermal) condition. It ensures that only the dry dead cells of skin on the face is removed and paves way for the new layer to replace it. A professional dermatologist in mumbai will use an electric device to slightly slough off or remove a very thin layer with these spots. For example, microdermabrasion is one of the methods to remove those caused by acne or pimples. Chemical peel treatment are also a way to remove these black spots. Unlike microdermabrasion, in chemical peeling solution medicine is used to remove the targeted layer of skin where dark spots originate. Light chemical peels e.g. Alpha hydroxyls are appropriate for light skinned, and thus effective remover. There are sample of home remedies which can be considered to treat Melasma at initial stages such as Applying Tomatoes, Carrot’s paste, consuming Green Tea, adding lots of fruits and vegetables in your daily diet. Every day uses sunscreen cream. Wear a hat that covers your face from the direct sunlight. Aloe Vera is also a way to get rid of dark spots. Try to wear UV protection sunglasses. Try to wear such kind of clothes that can cover your whole body from the sun. So that the condition does not turn permanent.